Anyone who lives on an island in Maine knows to expect the unexpected when it comes to Maine weather. 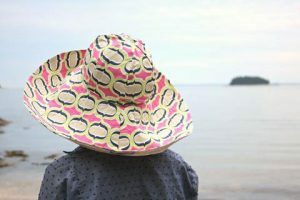 Bar Harbor fiber artist Dory Smith Graham has designed a hat to suit any scenario you may find yourself in while enjoying the great outdoors! Originally a goldsmith and later self-taught seamstress, Dory started Worthy Goods in 2008 with just a few baby wraps and hat patterns. She expanded her line to include winter hats with ear flaps, organic sherpa cowl scarves, reversible sun hats and more! “Inspired by orange, peeling paint and reckless tea drinking”, Dory’s work boasts traditional designs with organic sustainable fabric and cheerful, modern prints. In addition to her handmade goods, Dory’s sewing patterns & organic and vintage fabrics can be found on her Etsy shop. 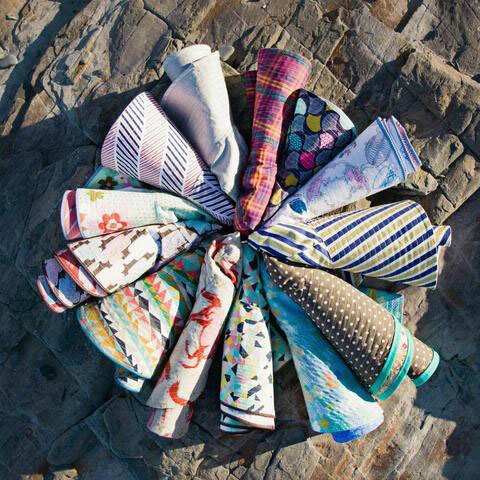 Worthy Goods winter & summer hats for adults and kids, vintage fabric bow-ties, ornaments, and organic sherpa scarves are available year-round at the Center for Maine Craft, and online.